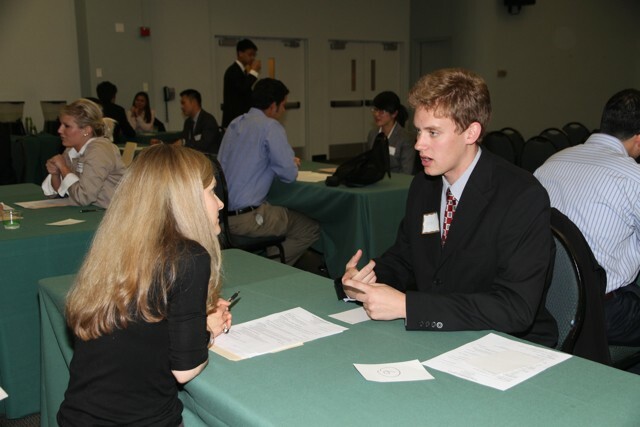 Here are 10 most commonly asked important questions of an interview. Most commonly the first words from the interviewer’s mouth, this is not even a question. It’s an opportunity or an invitation for you to impress the interviewer with your skills and talent. Take up the opportunity and tell them in a well organized format that you’re the best person for them without sounding immodest. You can take your time to introduce yourself but make sure you sound confident, yet friendly, humble and polite. I’m “Your Name”. I belong to Haryana, I Am 28 Years Old & I live in Gurgaon. I am a graduate in B.Com and hardware networking. I have 3 years of experience as the back office executive with Consent Technologies. My father is an accountant and my mother is a maths teacher. My parents are a great inspiration in my life. My hobbies are blogging, sports and reading. I aim to become a successful person in life. If you are applying for an entry-level job, you can sound hopeful and excited about climbing the corporate ladder. If it is a senior level job, you can talk more mature and realistic. Talk about your professional goals in life and try not to mention your dreams to start your own venture if you aren’t retiring soon. All in all, the interviewer wants to hear optimistic stuff here. Talk about being a few steps ahead in your niche, be it technology, marketing or management etc. Sir, five years from now, I want to see myself as someone with profound expertise in this industry. As I have only 3 years of working experience at hand till now, I aspire to learn and grow a lot more in the next five years with a job that provides me opportunities to explore more in this domain. With this job in hand, I’m sure I can be a valuable asset to my company, make it to my career goals and get the professional acclaim I look forward to. This is a chance for you to boast about yourself a bit and tell your interviewer you have all the positive attributes they would look for in a candidate. Do a bit of research about the position before the interview and talk about strengths that will match up with their requirements. Talk about leadership when you have a team to manage, being organized when it is management job and show off creativity when it is required. By talking about strengths that complement the position, convince your interviewer that you are certainly the best candidate for this job. My greatest strength is my ability to make high-performing teams even from the low-performers among fellow colleagues. I also take initiatives at work that helps my employer as well as me in due course of time. This is a tricky one. Saying you’re a perfectionist is almost clichéd answer to this question! You need to sound realistic and genuine here. You can also add wit if you think your interviewer can take it (like “I wish I could skate better”) but do follow quickly with a more solemn answer that gives a genuine weakness and cover it up with your practice schedule, a self training regime or the blessing in disguise for your employer. Keep your answer crisp as you certainly don’t want to end up lamenting about your own shortcomings. The interviewer not only wants to know if you have done any research about the company before applying, but also about what do you think about them. Answer very carefully as you neither want to sound like Wikipedia, nor like a bootlicker. So do your research well about what they do, read the testimonials and give a relevant answer. ABC is a Fortune 500 company. It is a leader in its domain. This company is innovative in its offerings and highly sophisticated in the techniques and modus operandi. I have been following the LinkedIn page of the company for a while and I’m so motivated to be a part of a company like this. I also know that ABC not only keeps the clients satisfied but also takes good care of the employees. I like the organized methodology followed in this company and I’d be proud to be a part of it. It’s not about the position and the paycheck alone- this is what you need to tell your interviewer. Before the interview, find out what employees enjoy here. Is it the work culture or the immense growth prospect? Tell them what is genuine and not just what they would love to hear. Tell them it’s your passion that pulls you here, not the drawstring attached to the paycheck. I have always wanted to work in an organization that respects the employees as humans and gives them a chance to grow professionally as well as mentally. I have heard about the potential of this company and the pleasant work culture adopted here. So, I’d certainly want to be a part of its growth story. I don’t say I love changes, but I surely love to meet new people and study their behavior patterns. This makes it easy for me to adjust in new environment in almost no time. I also consider a change as an opportunity to know more things and ways of doing same thing with different methods. This is a typical question to make you subtly promise you will never say you are stressed out. Of course, the answer is ‘yes’ but how you put it across is important. The interviewer basically wants a commitment from you to work under all circumstances, be it workload, ill health or psychological pressures. You need to assure your employer that you are a strong personality and you are meticulously dedicated to task completion, perfection and optimism under all situations. I take up pressure as a challenge and with my dedication and determination; I work well under any given circumstances. For example, a year back, I had jaundice and I was told to take complete rest but my project was in the pipeline. My boss was not comfortable in assigning it to any of my colleagues as it was my expertise, although he said he has not option than to get it done from someone else. I readily offered to complete it on my own and despite my ill health; I completed my task with complete dedication. I was highly appreciated by my boss for my determination. I also recovered fast from my illness. I also proved my determination under pressure various times when we had a stockpile of work and a stringent TAT. This is a psychological testing question that will tell your interviewer more about you. Answer wisely and give an impression of a responsible and a mature being. Portray yourself neither as an impulsive personality, nor an indecisive person. Rather, you should unfold yourself as a prudent and seasoned personality. I take my decisions diligently, considering the pros and cons sensibly before jumping to a conclusion. I also sometimes prefer to sleep on it, so I take a wise call when I wake up fresh. Also, I don’t hesitate to ask my mentors and manager when I find it hard to take a decision on my own. 10. How would you describe your current employer? Stay positive about anybody you are supposed to talk about, be it your employer. If you run down about them, you leave an off-putting impression on your interviewer. Keep in mind, an employer always wants to hear the qualities of other employers from your mouth. My current employer is very knowledgeable and helpful too. He knows well his job and guides the entire staff as and when required. He is very enthusiastic and a dynamic personality. I have learnt a lot from him and I will always be grateful to him. Over these years I have developed a great bond with him and I’m sure he will not be very pleased to see me going, but I know he will also be glad about my growth in life if I get a job here. Along with subjective skills, personality also boosts the overall interaction; check out personality development tips & know how to improve English at home.